Language Trails- Primary and Language Trails-Intermediate are both included. Save now with our special sale price! 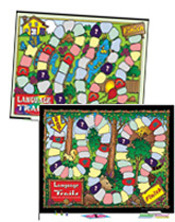 Language Trails-Primary: Games for Promoting Effective Communication Skills-Save!